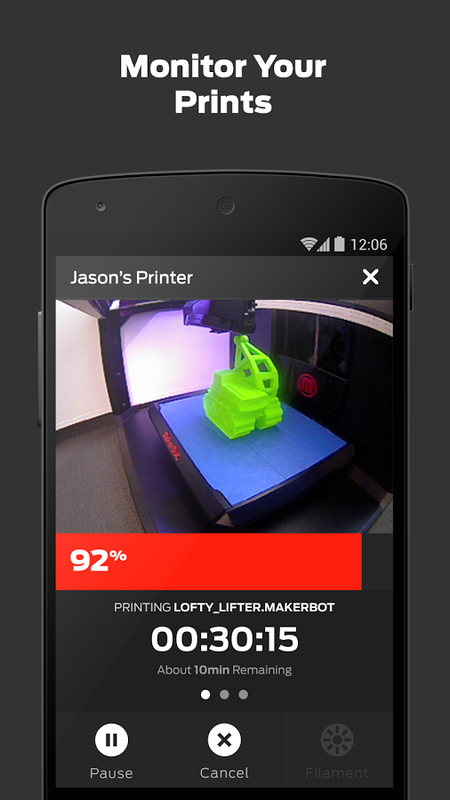 MakerBot has brought its mobile app to Google Play, empowering users to control their MakerBot printers from an Android-powered device. 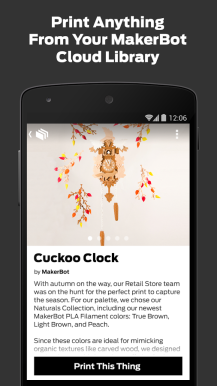 The app accesses 3D models saved in your cloud library, which you can now print, monitor, and cancel from your phone or tablet. 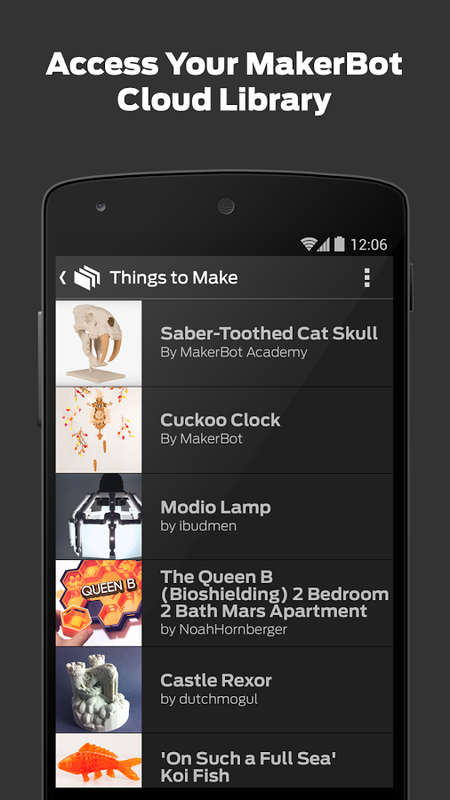 This is MakerBot's second Android app to enter the Play Store. Its first, Thingiverse, came to Android roughly a year ago. Following the latest update (version 1.3), the two pieces of software can work together, enabling you to print 3D models straight from Thingiverse. 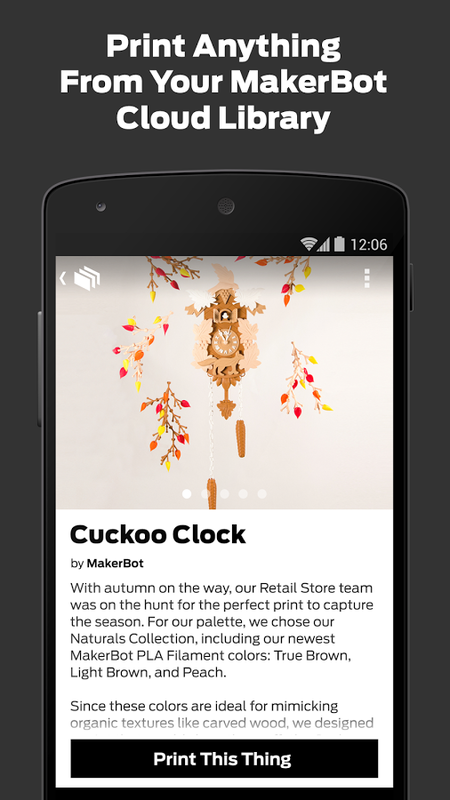 Hitting the "Print Now" button will bring up the MakerBot app, and your printer can take over from there. 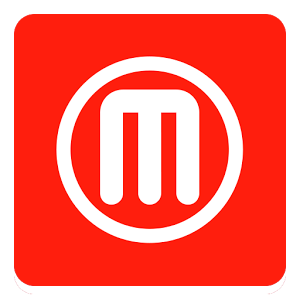 The Android app is compatible with the MakerBot Replicator, MakerBot Replicator Mini, and MakerBot Replicator Z18 running firmware version 1.4 or later. 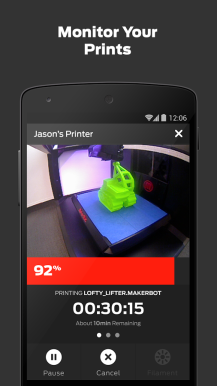 Both must be connected to the same Wi-Fi network for now, but MakerBot is working on the ability to print from cellular data in the future.